Three new books your children will love! 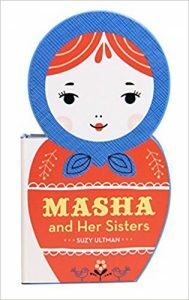 Masha has four sisters and though they’re very different from one another, they fit together just beautifully in this treat for matryoshka doll fans. 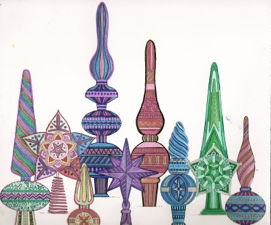 Presented in a clever 10 page, die-cut novelty book format, these colorful, folksy nesting dolls may be ubiquitous in Russia but never cease to entertain youngsters and adults. I know because I have a rather large collection of them at home from my many trips to Moscow and St. Petersburg. A great intro to Russian culture and storytelling because little ones can create their own tales about each sister represented: Natasha, Galya, Olya, Larisa, and Masha. 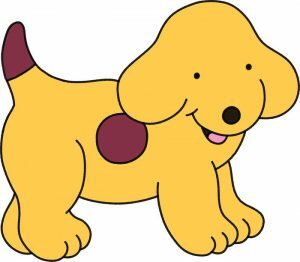 I don’t know any child who isn’t enamored of this adorable yellow dog with brown spots. This 10 page dic-cut board board in Spot’s familiar shape, is sturdy enough to withstand countless hours of reading and is a perfect way to share the carefree joys of childhood, or puppyhood in Spot’s case. Using simple rhyme, Hill brings Spot out into the rain and sun, introduces a few of his friends all having fun and makes spending time with Spot a highlight of any little one’s day. 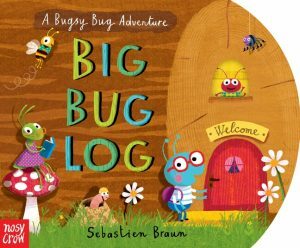 Designed to resemble a log, this new die-cut board book is full of trails to follow, flaps to lift and lots of irresistible bug characters your kids will adore. “Bugsy Bug is going to see his grandma. She lives somewhere inside the Big Bug Log.” Now it’s your child’s turn to help Bugsy Bug choose the correct way to get there while encountering some cool places along the way including Mrs. B’s Treats, a busy restaurant, a library, a bedroom, a spider’s web and charming house on Hopper Street that Bugsy Bug’ grandma calls home. 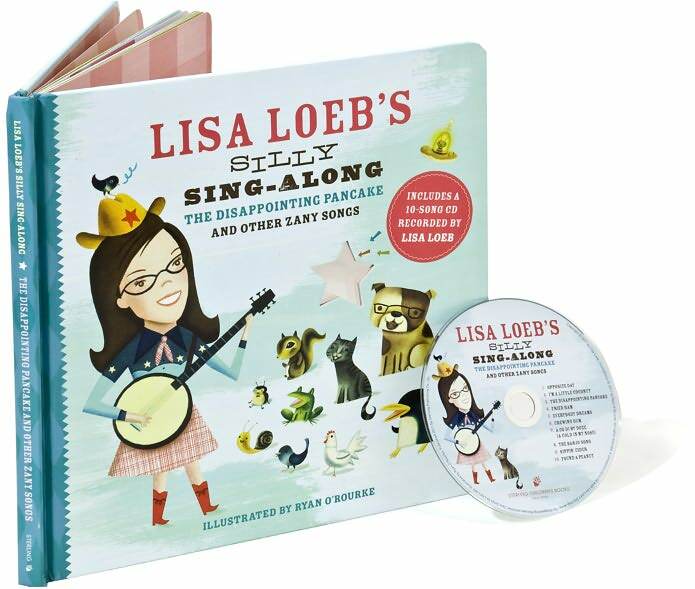 Definitely recommend picking up a copy of this and all Braun’s other board books, too! Rita Zobayan reviews two board books in the fun and engaging new Nosy Crow Tiny Tab series. Very young children love interactive books—pulling tabs, lifting flaps, and discovering who or what is hiding underneath. An added bonus is that the kids get to practice their fine motor skills. Nosy Crow presents two such board books in its “A Tiny Tab Book” series for children ages 0-3 ($7.99). These sturdy and chunky board books are 10 pages with 4 tabs that are each pulled twice. The adorable illustrations are by Jannie Ho, who perfectly captures the bright colors, friendly features, and cute details that make Nosy Crow books so delightful. 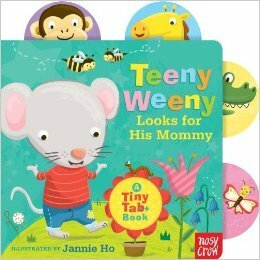 Teeny Weeny Looks for His Mommy: A Tiny Tab Book with illustrations by Jannie Ho, Nosy Crow. In Teeny Weeny Looks for His Mommy the mouse is trying to find his mother. He looks in all manner of places: behind the apple tree, in his pirate ship, in the flower bed, and in his playhouse, to name a few hiding spots. During his search, Teeny Weeny finds his friends: That must be Mommy behind the wall! Oh no, it’s Bear! Could Mommy be in the tree? No, that’s Monkey, and Bird with her chicks! His friends are fun to find, but where can his mommy be? Your children will enjoy helping Teeny Weeny find her. 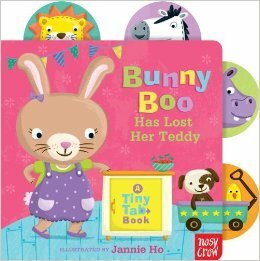 Bunny Boo Has Lost Her Teddy: A Tiny Tab Book with illustrations by Jannie Ho, Nosy Crow. In Bunny Boo Has Lost Her Teddy the little rabbit must get ready for bed, but she has misplaced her favorite lovey. She looks in the laundry room and the bathtub, but Teddys’s not there. She searches all over. Is he on the shelves? No, that’s Hippo, Mouse, and Penguin! Is he having tea with Koala? No, that’s Zebra and Owl. The search is great fun, but Bunny Boo has to get to bed. Teddy must be somewhere! Only your kids can help find him! 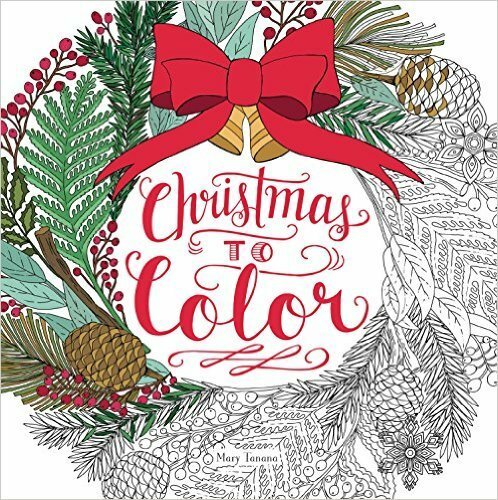 Beginning today Good Reads With Ronna will be sharing books we recommend as gift ideas this holiday season including these beautiful personalized children’s books from I See Me! (www.iseeme.com). Order your customized book by Sunday, 12/15/13 and get it in time for Christmas (Continental U.S. only). PLUS: Use the code “goodreads” to get a 15% discount! There are so many cool choices on the site so don’t just take our word for it, go on and check it out. I was excited to get my review copy of the latest I See Me! personalized storybook in the collection, Goodnight Little Me (the me gets customized to the name of your child) written by Jennifer Dewing with illustrations by Mary GrandPré’. You may recognize the latter name since Mary GrandPré was the award-winning illustrator of the Harry Potter® series. Her artwork is cheerful, dreamy and colored with muted blue and purple tones setting just the right mood for a bedtime story. Couple the soothing, sleepy time illustrations with Dewing’s rhythmic parade-themed tale and you’ll have one content child heading off to the land of nod in no time at all. 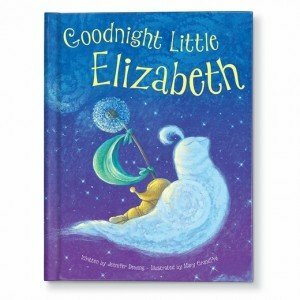 My copy was entitled Goodnight Little Tyler, and the name Tyler (I don’t know a Tyler, but you might so comment here and you may win a copy!) was incorporated into the story and illustrations over 10 times (samples shown here are from the I See Me! website where Elizabeth is the name used). 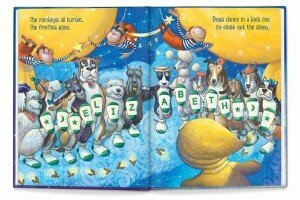 My kids, with their uncommon names, would have gone wild over a personalized book when they were little, but even if their names had been Michael or Mary, they would have been delighted to see their name printed inside the pages of a such a lovely book. Even the glossy pages feel good to the touch. Interior artwork from Goodnight Little Me written by Jennifer Dewing with illustrations by Mary GrandPré, I See Me! Personalized Children’s Books, 2013. I love how the marriage of words, art, plus a youngster’s name can turn a very good bedtime story into a magical celebration of make-believe in a sky filled with all types of friendly looking animals. There are owls, eagles, frogs, mice, bears, sheep, cats, monkeys, and dogs. There are also some very happy looking cows jumping over a rainbow adorned moon as well as Dish and Spoon. As the story comes to a close, the back of the child is seen watching the parade end with an adorable doggie kick line. As your little one sails off to sleep, you’ll be pleased that you chose an I See Me! book to brighten their dreams. Summer Reading Never Looked so Good! Phenomenal illustrations of primates and simple prose teach little ones how to count. Spectacular photographs of uncommon sea animals along with descriptions will make you wish you could live the life of Jacques Cousteau! A little girl sits with her grandfather as he tells the story of his life with matchboxes he saved as mementos in this picture book. Based on a true story, an eight-year-old Inuit girl faces brutal ridicule while she sets out to learn how to read in this chapter book. The strangest things can be found in this giant puddle of a picture book, with awesome illustrations. The sad but true story of one of the most famous elephants that ever lived. 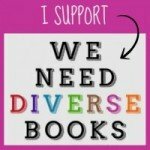 Rita Zobayan reviews 2 new elephantastic books. When you think of animals playing hide-and-seek, which ones come to mind? A chameleon, certainly. A monkey, leopard or tiger, perhaps. But a large, hulking elephant? Not so much. Summoning strong imaginations, two authors have placed playful pachyderms in a favorite children’s game. Salina Yoon has written and illustrated a darling board book, Where’s Ellie? : A Hide-and-Seek Book ($6.99, Robin Corey Books) for little ones aged 0-3. Ellie and her friends—caterpillar, ladybug, rabbit, lizard and squirrel—are playing a game of hide-and-seek. Young readers will search for Ellie and her peek-a-boo trunk in familiar settings, only to be surprised at what they find instead. 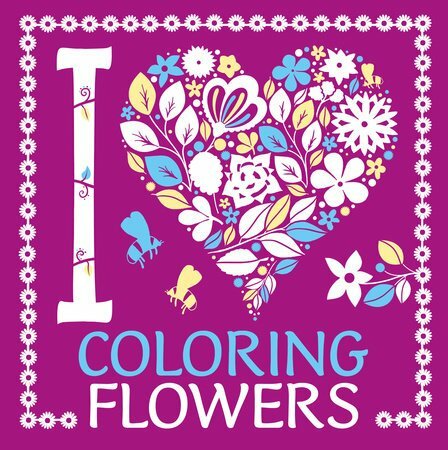 The simple but colorful illustrations are fun to view. At 16 pages, the book is long enough to hold a youngster’s attention and short enough for parents to read over and over again, which they probably will have to do if their kids are anything like mine. Hide & Seek ($15.99, Alfred A. Knopf Books, ages 2-5) by Il Sung Na is a counting book that also features an elephant playing hide and seek, but this time Elephant is the seeker. The other animals must find places to hide; where will they go?! Flamingo wants to make sure that Elephant isn’t cheating. Gorilla thinks carefully about his hiding spot. “10! Ready or not, here I come!” cries Elephant, and the search is on! 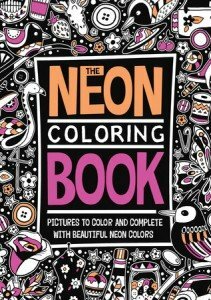 Na uses rich, bright colors and various art techniques to create a visually spectacular picture book. The animals’ expressions are adorable, and children will enjoy counting the butterflies that accompany Elephant on the search. Like elephants, children will not forget—to read Hide & Seek that is. Today’s review, by Rita Zobayan, arrives in time for us all to get psyched for the London 2012 Olympics. I spent my childhood in London’s East End borough of Hackney, a working-class community full of blocks of flats, pubs and the vast Victoria Park. Every so often, my parents would take my sisters and me into “the City,” the heart of London itself. There, we would mingle with the tourists and admire the hundreds of offerings that London bestows. There was always something new to discover, whether it was a historical landmark, a museum, a park, a stately home or a new borough to explore. London is immense, vibrant and alive. It has something for everyone. There is good reason, after all, that the father of the modern dictionary, Samuel Johnson noted, “If a man is tired of London, he is tired of life.” If you’re one of the lucky ones, you will get to experience the magnificence of London for yourself in July and August when the city plays host to the thirtieth Olympic Games. If you’re like the rest of us, you’ll be living vicariously and watching the games and the city on television. To help your young ones “explore” a few of London’s most distinct sites, Candlewick Press has two fun books that children will enjoy. The first is London: A 3D Keepsake, illustrated by Sarah McMenemy, ($8.99, Candlewick, ages 5 and up). Presented in a handy and sturdy cardboard sleeve that is small enough to fit into a day bag, this clever novelty features twelve of London’s most famous sites in an accordion-style 3D pull out. We begin our vicarious tour with an introduction to London, and gamely move on to some of the most historic and cultured landmarks in the city’s vicinity, including Buckingham Palace, Piccadilly Circus and Trafalgar Square. Each location has a retro-feel illustration reminiscent of children’s books from the 1960s. Although sparsely drawn, the illustrations do not spare important details such as flags, guards, and so on. The pop-up feature adds to the fun. 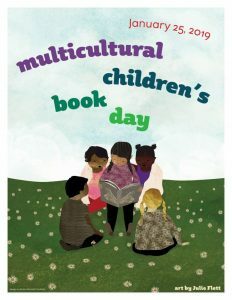 Children will love opening up the book and spreading open its pages. (It spans approximately 5 feet.) Accompanying each illustration are fun facts and information for each location. For example, who knew that one could purchase an ambulance from possibly the world’s most famous department store, Harrods, or that the London Eye has become the city’s number one tourist attraction? The book also has a neat, little map of inner London that highlights the twelve hot spots, tube (metro) stations and neighboring boroughs. This book is an enjoyable way for young children to learn more about London. My daughters, ages 3 and 7, both wanted to look at it, albeit for different reasons. My younger daughter greatly enjoyed playing with the pop-up illustrations and looking at the details. My older daughter was interested in the text and in trying to point out the locations on the map. All in all, it was a good time exploring the book with them. When we’re ready to take them to London, they’ll have a reference that’s right for them. Candlewick Press’ second offering is A Walk in London by London native, Salvatore Rubbino ($16.99, Candlewick, ages 5 and up). Over the course of 40 pages, we journey with a young girl and her mother as they tour the sites. We experience the Tower of London, the Bank of England and St. James’s Palace and park to name a few of the stops. Information is woven into the narrative, which is told mostly through the girl’s point of view: “Around the corner, we find the bank’s museum. In the display cases, there’s lots of money! Coins…paper money…and even a bar of gold! Ooooooof! I try to lift it, but I’m not strong enough.” In addition to the narrative, the book is chock full of facts. We learn that the St. Paul’s Cathedral dome weighs about 64,000 tons and that a “whisper against the wall on one side of the dome can be heard 105 feet away on the other.” There are three more facts for this venue alone! In fact, the book is so full of information that a child could almost use this as a reference for a report. Rubbino’s artwork with muted palette and pen-and-ink style illustrations is reminiscent of famed author-illustrator Miroslav Sasek. They are whimsical cartoonish sketches that young readers will appreciate for their energy. You can almost see Rubbino’s hand freely sketching the city, capturing the details, shapes and movement of the bustling metropolis. Multiple fonts capture the reader’s eye and are playfully placed on the pages to complement the illustrations. For example with the narrative, “There’s a Whispering Gallery inside. We climb around and around and around, until we’re in the dome,” the text is spread around the illustrations of our duo climbing steps. A couple of fun bonuses are the River Thames panorama and a game to spot the royal family’s car appearing throughout the book. Opening to four pages, the panorama outlines additional venues and provides more facts about the city in general. Additionally, the inside front and back covers have maps with the featured venues, bridges and main streets of inner London. Both the panorama and maps give a feel for the vast expanse of the city. Who doesn’t love giving and getting books as presents? The best part about giving a book as a gift is that you can dedicate it on the inside cover with a personalized book plate or a simple, but meaningful handwritten note. I may donate a lot of books, but I can never part with a book that has a date and message inside, reminding me of a special friend’s present to one of the children or to me and my husband. 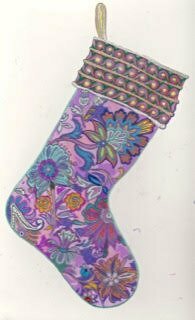 I n the next few days I’ll be writing about books that would make wonderful holiday gifts whether as stocking stuffers or wrapped and placed under the tree. Or like me, you can plan on giving a book for each of the eight nights of Hanukkah. Now here’s a book that’s perfect for everyone in the family – The Wizard of Oz: A Scanimation Book from Rufus Butler Seder ($14.95, Workman, all ages) – because we should all have at least one book with the amazing Scanimation technology on a coffee table at home! If you haven’t perused the pages of one of these types of books (i.e. 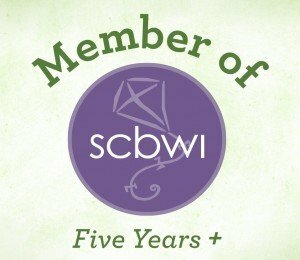 Gallop!, Swing!, Waddle!, and Star Wars: A Scanimation Book), it’s time to be introduced. The book opens with Dorothy’s ruby slippers clicking together because with this technology, pictures move bringing motion with every turn of the page, recreating memorable moments to enjoy all over again. You’ll find famous quotes opposite the iconic images such as the Wicked Witch of the West warning, “Ill get you, my pretty, and your little dog, too!” or the Tin Man’s line, “The tinsmith forgot to give me a heart. No heart. All hollow.” There are 10 terrific scenes in all and each one cleverly conveys the movie’s progression in much the same way a movie or video work. Why not see for yourself?